Bismillahirrahmanirrahim. Assalamualaikum wbt., Welcome & Selamat Datang to Universiti Teknikal Malaysia Melaka (UTeM), the 1st Technical University in Malaysia. Reaching its thirteen (13) years of establishment, Universiti Teknikal Malaysia Melaka (UTeM) has attained numerous accolades and recognitions. These commendable achievements are a culmination of meticulously crafted strategic planning and visioning by previous leaders of the university. Over the years, UTeM has seen a shift of one Rector and two respectable Vice-Chancellors and every transition is marked by yet another leap of excellence. Succeeding the Vice-Chancellor’s Office from YBhg Prof. Datuk Dr. Ahmad Yusoff Hassan is formidable and requires ultimate resilience and resolution in ensuring that the university’s vision, mission and culture of excellence continue to thrive and develop in line with our aspiration to emerge as one of the world’s best technical universities. Validating our tagline “Always A Pioneer, Always Ahead”, UTeM will forge ahead in pioneering and trail blazing new initiatives through academic programmes that support the aspiration of higher technical education with an enhanced emphasis in developing pronounced technical skills (TVET) among its graduates. Situated strategically in the UNESCO Heritage Site of the Historical City of Melaka, UTeM operates from three campuses namely the Main Campus at Hang Tuah Jaya, the City Campus at Jalan Hang Tuah and the Technology Campus near Ayer Keroh. The operations of seven (7) faculties are supported by two (2) learning centres which enables UTeM to attain prominence in providing technical and technology-focused academic programmes in engineering, engineering technology, ICT, and technology management and technopreneurship. UTeM’s Official Portal has been designed to be informative and interactive, with the aim of ready and easy access for all cyber visitors. It is my sincere hope that the portal will continue to provide relevant and accurate information and updates about the university that may be used as a referral for all. 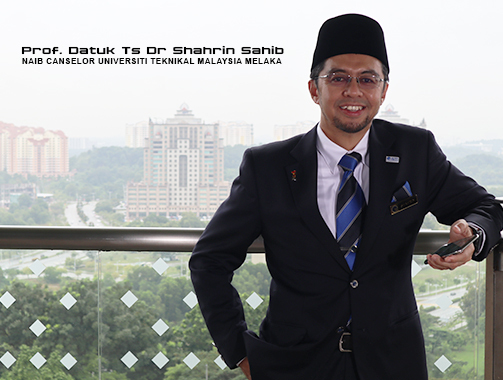 Thank you for visiting UTeM’s Official Portal and best wishes.